The description accompany these images in our archives is limited to the text reproduced below each picture. I am very grateful to tubeprune for providing a details of at least one of the cars concerned, which on the central image appears to be 1337 (it cannot be confirmed if the other images refer to the same car or not). Apparently a whole series of these photos used to exist in the correspondence office at Acton, presumably most now lost for good. 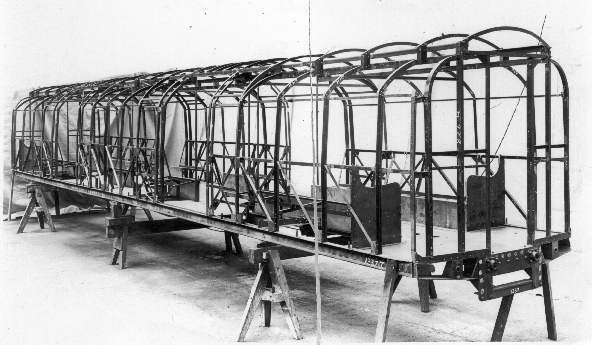 1337 was an experimental car built in 1930 by the Union Construction and Finance Company (UCC) at Feltham, as part of a 6-car train. This car was one of two which had only two double doorways per car side which were 5ft 2ins wide instead of the previous 4ft 6ins width. UCC was a subsidiary company of the Underground Group and was wound up after just five years production following the formation of London Transport. 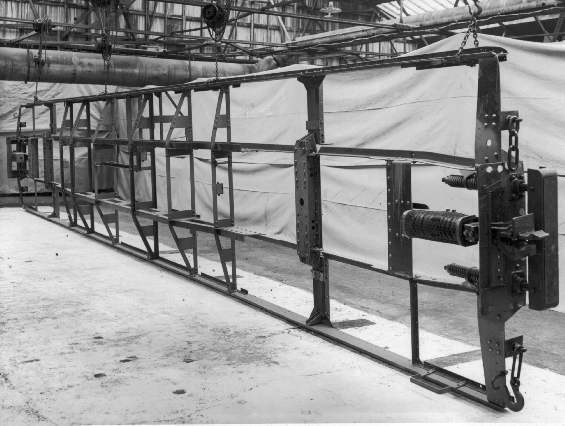 LT's constitution prohibited the manufacture of rolling stock for its own use, other than prototypes. Before 1934 two Presidents of the Institution were Mr W.A. Agnew, Chief Mechanical Engineer of the London Passenger Transport Board and Mr G. Halley Operating Manager of the LPTB, so it is likely that the images came from either of these gentlemen.